Date of birth: 2.nd of February 1985. From the moment I first time encountered contemporary dance, I haven't stopped practicing and living through dance. Last few years my interests were more focused on Contact improvisation technique, so I regulary attending workshops (Joerg Hassman, Monica Giacomin, Iva Hladnik), classes and jams of Contact improvisation. As a dancer I was part of several dance performances, theatre dance plays, site specific performances, video instalations, and artistic/documentary movie about socialism monuments. 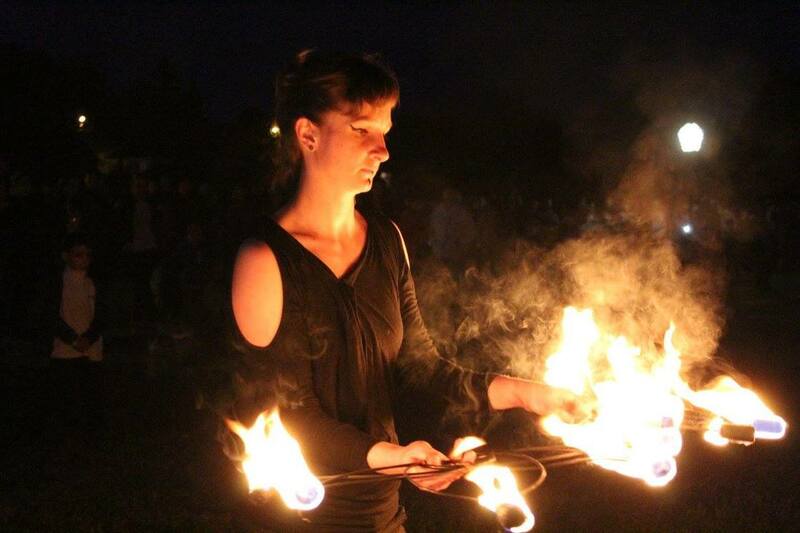 I am also involved in Contemporary Circus, as a active member of our circus association "Razbibriga" I am part of our fire show, and various cicus happenings that we organize. Ivalso designed costumes for few dance performances and puppets and scenography design for children play.